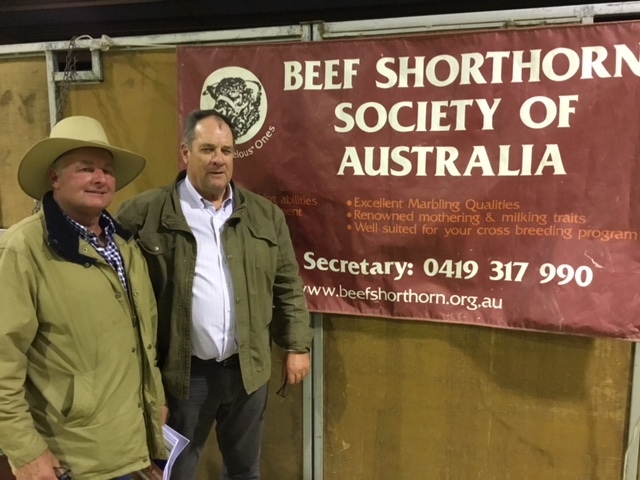 The Shorthorn National sale concluded yesterday and given the current seasonal conditions, it has been hailed as a strong and successful event and a great result for the Shorthorn breed. There were commercial cattlemen looking to put Shorthorns into their breed and were spoiled for selection. The sale grossed $634,000 for 94 bulls resulting in an average of $6744.00. The top priced bull Royalla Tremain sold to Belmore Shorthorns in South Australia and Morton Shorthorn stud in New Zealand for $40,000. The bull was the last bull to be auctioned and a division champion. Agent Richard Miller of Landmark remarked that “the sale was driven from buyers coming from WA, NSW, SA and into Victoria; it is a credit to the breed to achieve this result and it has been buoyed by the Thousand Guineas initiative with JBS, and the underpinning factor to the sale was the commercial focus and attributes of the bulls. 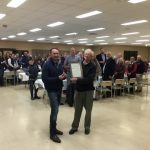 A good friend of our breed, Richard Ham was also awarded a Life Membership to the Shorthorn Society. A well deserved acknowledgement of Richard’s past efforts and input into the success of the Shorthorn breed as it stands today. Federal Councillors Peter Falls and David Spencer were present during the two days.